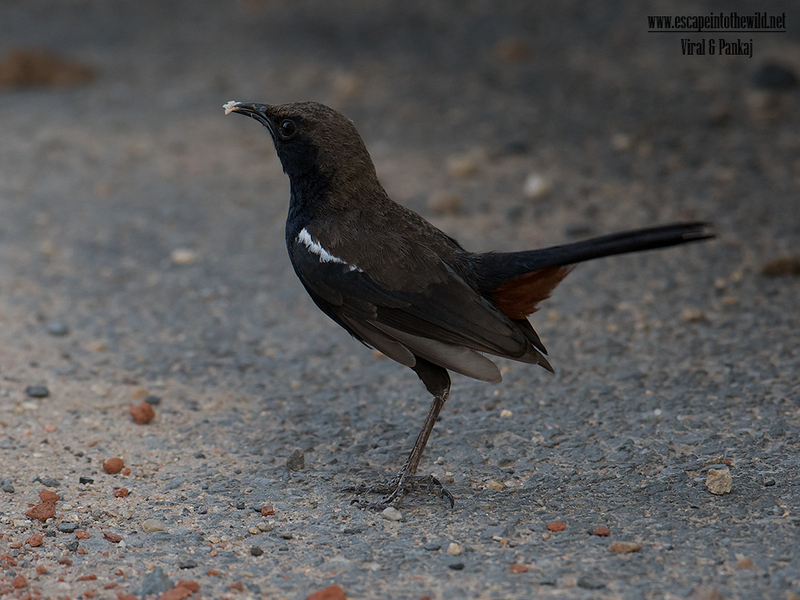 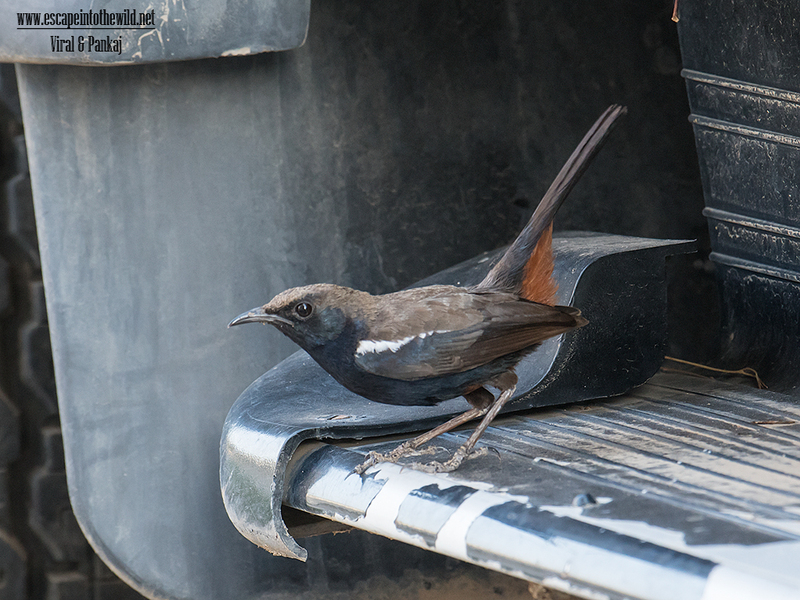 This summer vacation again the Indian Robin made nest in our vehicle Mahindra Thar. 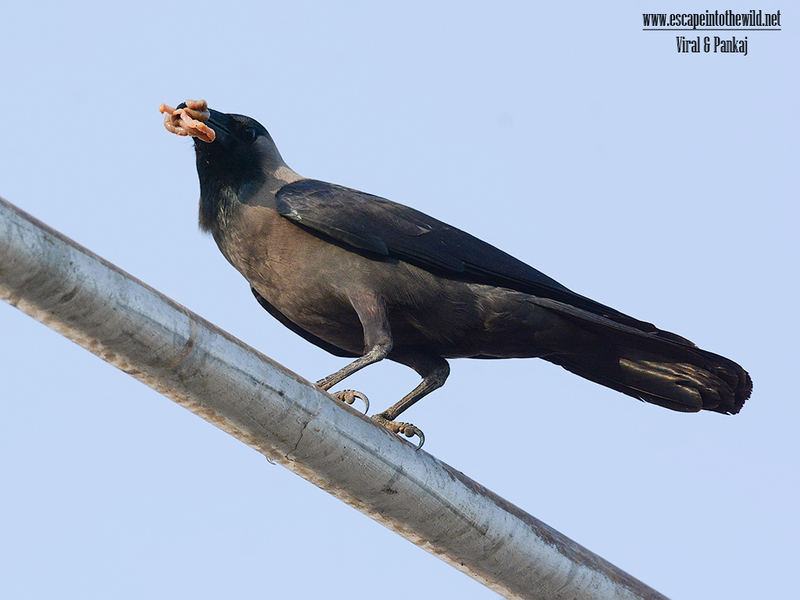 Pair was regularly feeding the chicks. 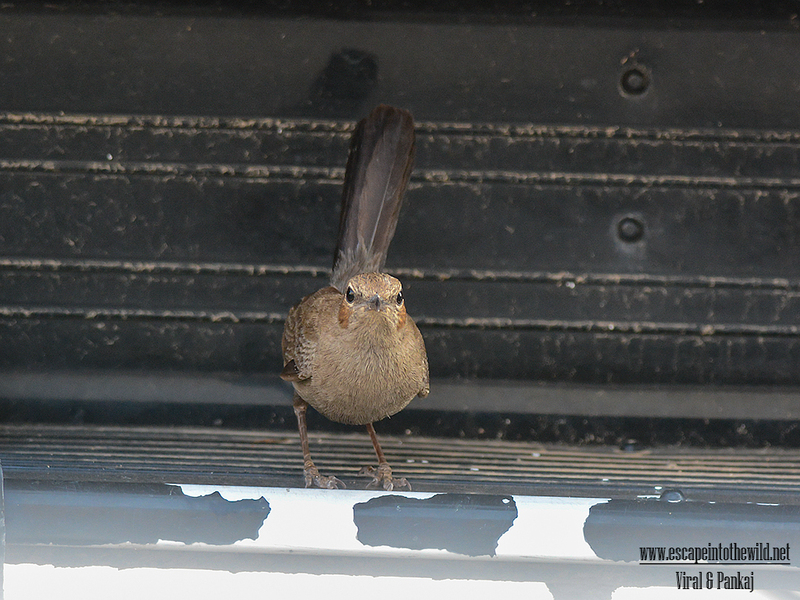 One morning a fledgling came out from the nest. 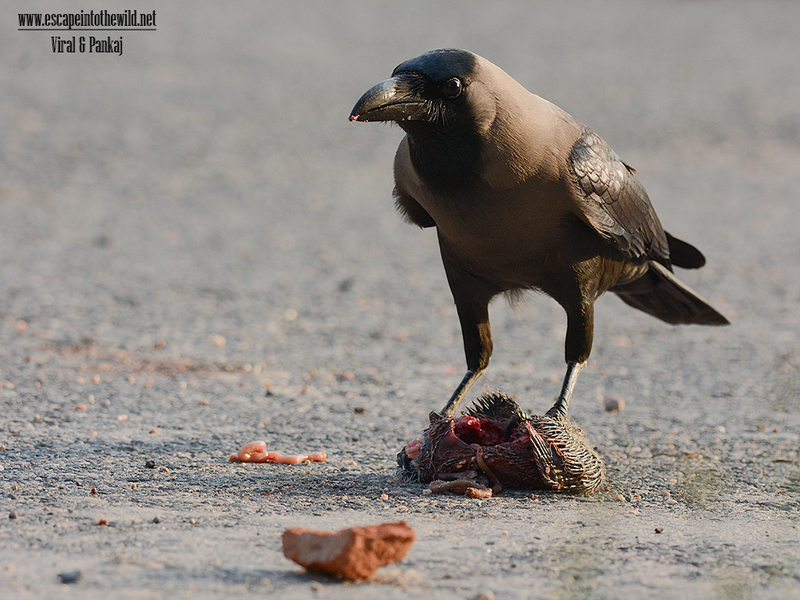 House Crow spotted the fledgling, kill it. 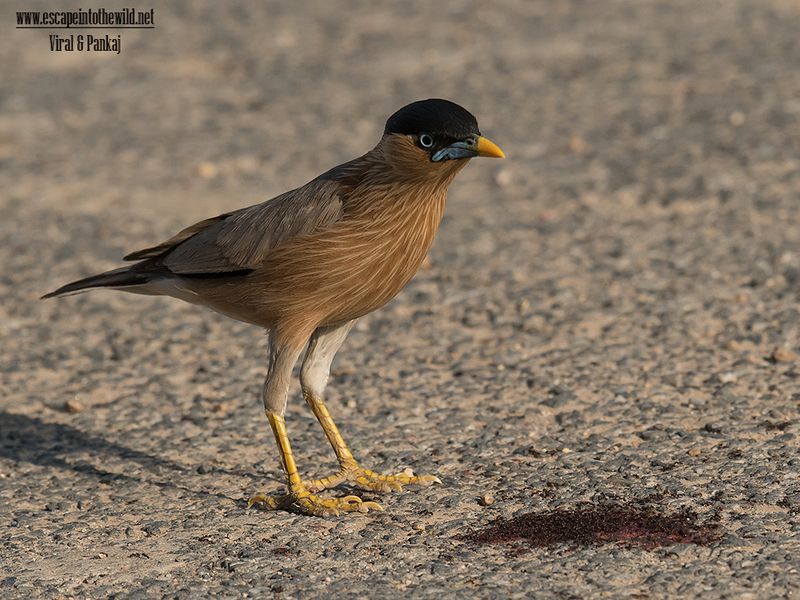 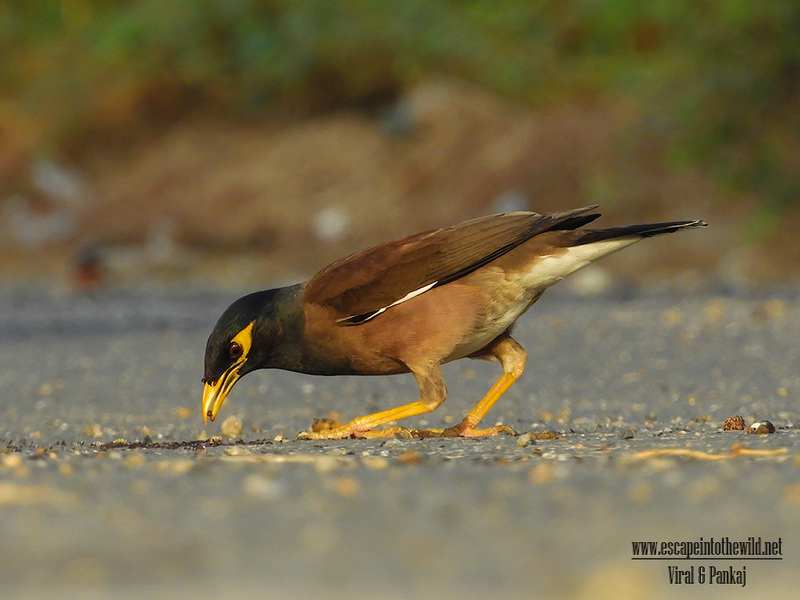 Brahminy Starling and Common Myna fight over remnant of the fledgling.